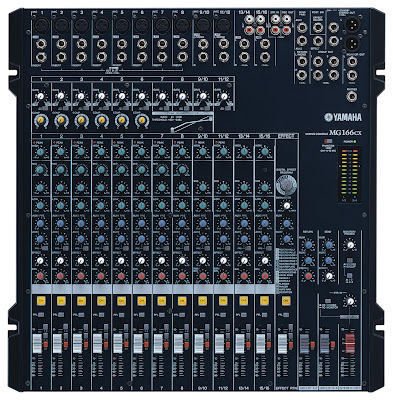 Superior sound quality backed by technology from the Yamaha professional MG166CX live sound mixer. 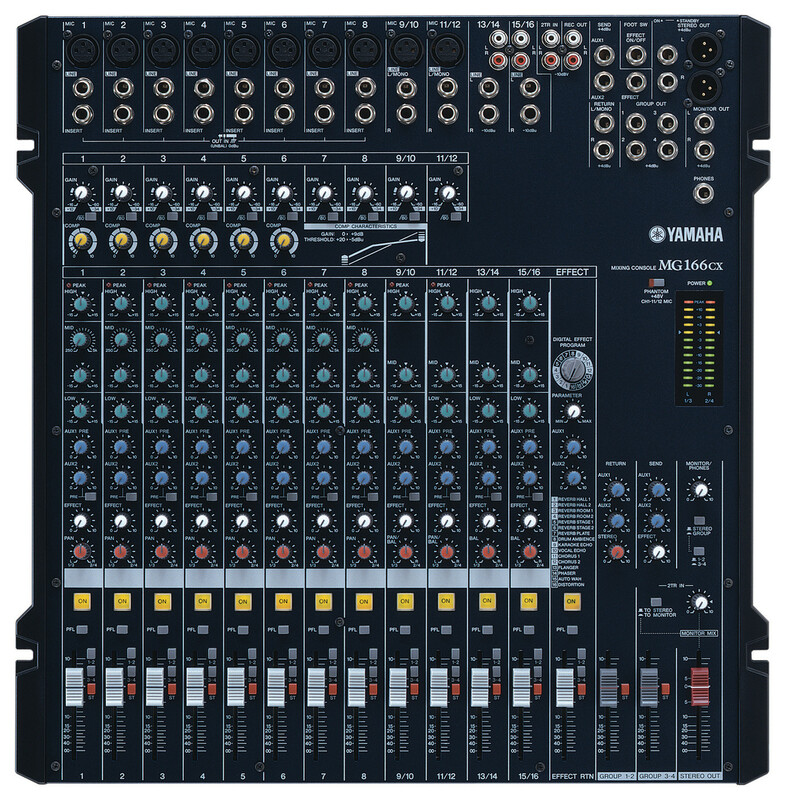 Whether you have a mixing application that involves only a few channels, or up to 32 inputs with substantial signal routing versatility, Yamaha's MG series offers a console that will give you the capacity, control, and performance you deserve. All models are remarkably compact and lightweight for superior handling and portability, but absolutely no compromises have been made in terms of features, performance, or durability. The MG mixers offer an extraordinary blend of technology: some inherited from professional Yamaha mixing consoles you're likely to see in distinguished halls throughout the world, and some developed specifically to deliver optimum performance in the MG-console format. In either case these performance-packed mixers are founded on a world-spanning network of human and technological resources that crystallize to deliver features that really matter, and sound that is undeniably superior. The MG series mixers offer the sound quality and performance your music deserves.